The home maintenance and repairs business, one of the key components of multi-billion dollar facilities management (FM) industry, has seen burgeoning growth in the region over the last few years. With industry experts predicting the FM market in the GCC to grow to a market value of nearly $892 billion (Dh3.27 trillion) over the next 25 years, the future of the allied home maintenance industry seems bright. 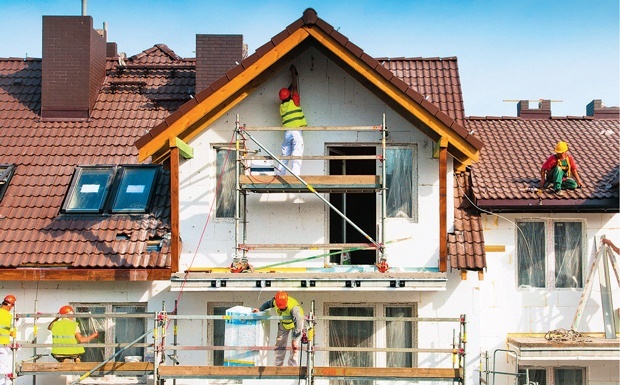 Driven by the construction boom, as well as the increasing demand from customers for improved and more sophisticated home improvement and maintenance services, the sector has evolved from an unorganised small-shop business into an organised, service-focused home-care industry. The model has also shifted from rental-included service contracts to personal contracts, thanks to the proliferation of the home ownership market. “Traditionally, most of the real estate agents were offering home maintenance as part of the rental. With all the private ownership options, we have noticed a huge demand from residents directly opting for home maintenance services”, says Sean Blaikie, Operations Manager, MPlus+, one of the top companies delivering maintenance solutions to residential communities in Dubai and Abu Dhabi. According to Hamad Hussain, General Manager, Nitty Gritty, another leading home maintenance company, the industry has changed to a very large extent in the past few years. “Initially, when this kind of service was launched in the early 2000’s, it was considered a luxury to have a home maintenance contract. However, after a brief period, when the home owners and the tenants realised the need for regular maintenance, the home boutique maintenance became a booming industry in itself”. For residents, home maintenance continues to be a pain point that requires time, effort and money to resolve. A recent survey conducted by a Dubai-based online home services marketplace, and Imdaad, offering integrated facilities and waste management solutions in the GCC, revealed that 83 per cent suffered at least one maintenance problem in their homes during the first half of 2015. The average, however, was two maintenance issues. The survey found that air conditioning problems surfaced as the top maintenance issue for over 50 per cent of households. Among villa residents, this statistic grows to around 70 per cent. Bursting water pipes and sewage also emerged as other nuisance areas. Add to this landscape the aging buildings syndrome, pressing social mandate for going green and the impact of regularly maintained equipment on reduced power bills, and we can see some other key drivers for growth in this industry. “Home maintenance has always been important. With buildings over time starting to age and requiring some extra care and attention, preventive home maintenance has become a necessity. The market for preventive home maintenance has developed and grown over the past five years, seeing increased innovation and competition across the region”, says Blaikie from MPlus+. Hussain from Nitty Gritty voices the same sentiment, adding, “Since some of the properties were handed over more than a decade ago, there is an essential need for regular maintenance”. The survey revealed another interesting fact. It showed that less than 60 per cent of residents approached professional maintenance companies in Dubai to help them out, possibly driven by the fact that nearly 40 per cent needed to foot the maintenance bills themselves. These statistics point towards an untapped potential market for home maintenance companies. With the constant market evolution and competition, how can companies continue to differentiate and capture this nascent market, as well as service the changing needs of existing customers? Blaikie believes innovative solutions are the key to staying ahead. “We’ve done this by being the first in the region to introduce our online customer portals allowing customers to book and pay online, freeing up their time for other activities. Along with the economic factors, industry experts say, it is the shift in attitude of customers that has also led to the boom in the sector. “Since the downturn in the real estate market, there has been a change in people’s mindset. What was once a luxury has now became a necessity. People have started to realise that spending in the maintenance of a home is always an investment,” Hussain points out. On the other hand, Blaikie feels one of the key reasons from a resident perspective has been the evolving standard of living, which has been intrinsically impacted by the sustainability initiatives of Expo 2020. Specialised teams Talking about repairs and maintenance, there is a general consensus that specialised teams need to exist for repair services and for preventive maintenance works. “Diversity, flexibility and timely delivery in addressing one-off maintenance calls and emergencies is better if these teams are independent, allowing the preventive maintenance to follow a planned regime for periodic servicing,” says Blaikie. Preventive maintenance contracts are normally either monthly or annual, covering electrical, plumbing and A/C servicing. Some programmes also include water tank cleaning and pest control. Frequency of maintenance visits is dependent on the package selected. Among villa owners and residents, regular pool and garden maintenance contracts are also offered. Other than these basic areas, some boutique service providers also offer a range of specialised preventive maintenance packages, including window cleaning, carpentry, and façade wash.
With the increasing emphasis on gong green, service providers have been compelled to adopt green practices, and green cleaning and maintenance products to remain competitive. MPlus+ offers customers tailor-made green packages. “Our EcoSAVER package, an energy saving solution for your home, gives customers the opportunity to not only save 15 per cent on their household utility bills but also reduce their carbon footprints,” says Blaikie. A booming industry means many new entrants into the market. And, the home maintenance business is no exception. But established players believe competition is a healthy sign, indicative of a growing industry. They also affirm that it keeps them on their toes, leading to the development of industry best practices. This will eventually benefit both customers and service providers.